The Cameron Ranch located minutes form San Antonio is a wonderful multi-use south Texas ranch. It is an ideal ranch for someone looking to hunt, fish, graze cattle, or get out of the city. 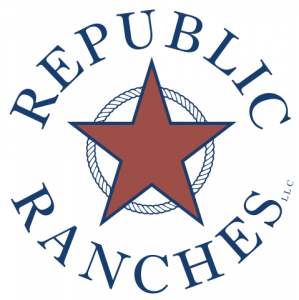 With it’s majestic live oak trees, improved grasses and native south Texas brush, the ranch is a perfect recreational and working ranch. Location: The ranch is located south of San Antonio between Poteet and Lytle. It has paved county road access less than 5 minutes east of Hwy 16. Habitat: The habitat consists of majestic live oak trees, improved and native grasses, and mixed south Texas brush. The ranch is designed with internal fences for a rotational grazing system. It also includes fenced lanes from which cattle can be rotated to new pastures and cattle pens. The native brush includes mature “bull” mesquite trees, persimmon, guajillo, granjeno, white brush, and prickly pear. The perimeter high fence was constructed less than 7 years ago and is perfect for someone wanting to manage a white-tailed deer herd. Improvements: The main house was remodeled approximately 5 years ago. An addition that includes suites, bunk room, game room, and pool were also constructed. The house is located on a hill with with large live oak trees and a beautiful view. Some of the furnishings may be included in the sale. Water: The ranch is watered from water wells believed to be in the Carrizo Aquifer. An irrigation well was drilled in 1993 and the well report shows the well yielded 1200 GPM. The well report supplied by the previous owners, shows the casing to be 14” in diameter and constructed of stainless steel and steel. The house is supplied with water from a well located near the house. It also supplies water to a lake close to the house. Minerals: A portion of the minerals owned by the sellers are included with the sale.